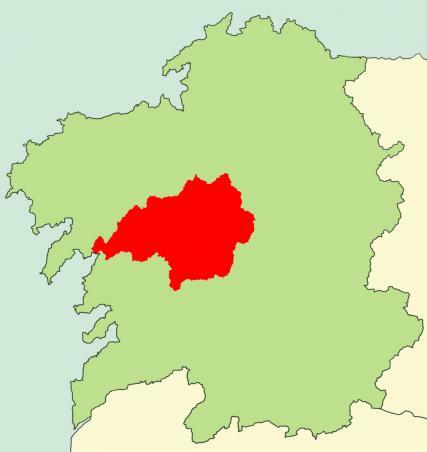 The purpose area of Margal Ulla is, as its name indicates, the basin of the Ulla River, which is the second longest Galician river (131 kilometres) as well as the second one in absolute volume of water (70,3 m3/sec). It has a wide fluvial net that covers a length of 2.803 square kilometres. 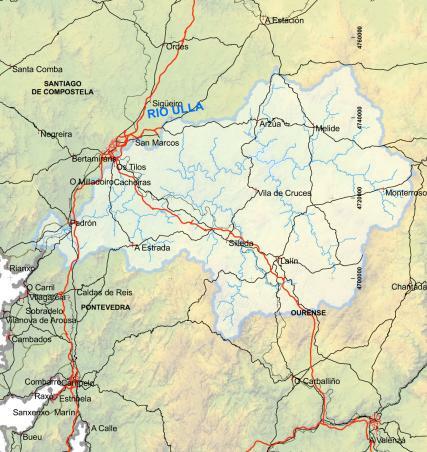 The project’s space of operation corresponds with the area covering the main course of this river, from its mouth to the reservoir of Touro, as well as the basins of the tributaries of Vea, Liñares, Oca, Deza, Amego rivers and those of the Ulla Alto River. It is only left outside the basin of the Sar River. This area has an damp oceanic climate, with an annual average temperature that varies between 12º and 16º C and heavy rains (1.100 mm in all the stretches and even 2000 mm in others), but with a strong summer drought. As far as fauna is concerned, the most outstanding land vertebrates are the aquatic blackbird, the kingfisher, the heron, the waterfall wagtail, the Iberian desman and the otter. As for the fish farming species, the most important are the marine lamprey, the eel, the boga, the trout, the sea trout and the Atlantic salmon. There can also be found, although in a more restricted way, specimens of nine-spine stickleback, twaite shad and roach. Among the urodele amphibians, the long-tailed salamander is the most outstanding. 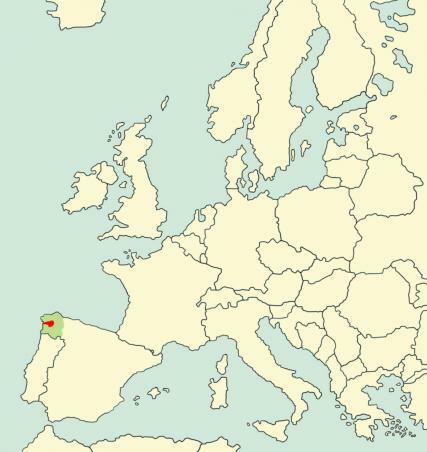 This species is endemic in north-west Spain and north Portugal. Among the invertebrates, it is worth mentioning the presence of freshwater pearl mussel (Margaritifera margaritifera) and dragonflies Macromia splendens (Pictet, 1843) and Coenagrion mercuriale (Charpentier, 1840). 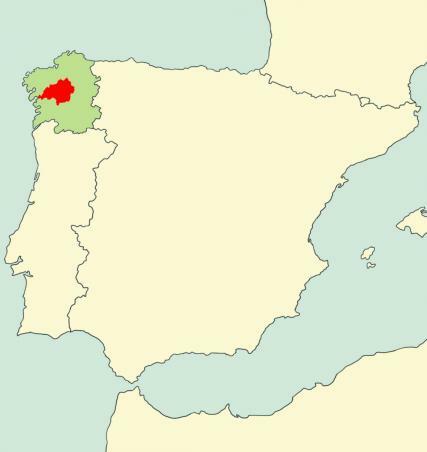 As for the vegetation, potential or natural, the high stretch of the basin corresponds with an oak wood belonging to the association Vaccinio myrtilli-Quercetum roboris, which is typical of the mountains in the middle area of Galicia. There is also a predominance of arboreous cultivations, containing mainly pines and grasslands, which belong to the order Cynosurion cristati. In the middle and low stretches of the basin there is, as natural vegetation to association, Rusco aculeati-Quercetum roboris, where there is outstanding presence of species from optimum Mediterranean such as the cork oak or the cistus psilosepalus, although in this case there is little presence due to a greater human occupation. This is the reason why there is such an abundance of fields and arable lands specially suited for maize cultivation. On the river banks there is mainly an alluvial forest, which is characterized by the presence of alder, birch, oak and common dogwood trees. It is also possible to find the association Senecio bayonensis-Alnetum glutinosae, which is very threatened by the anthropic pressure in numerous stretches of the river. In most cases, this pressure turns that species into an unstructured row of trees.